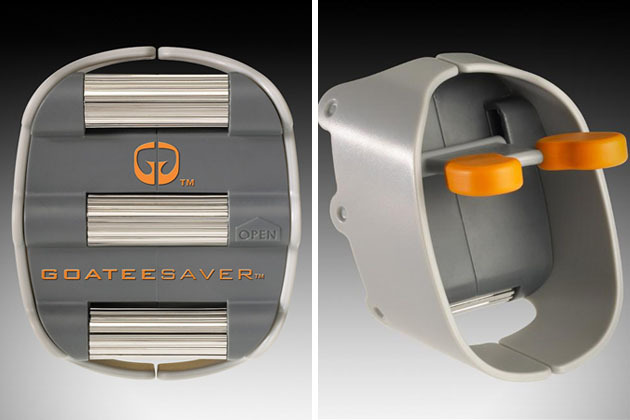 If you’re the kind of guy who has trouble drawing a straight line, getting your tie balanced on your shirt, or shaving your goatee without looking like a Picasso painting, we’d highly recommend the Goateesaver shaving template. We know what you’re thinking, but the consumers have spoken, and the majority seem to like the results of this device. 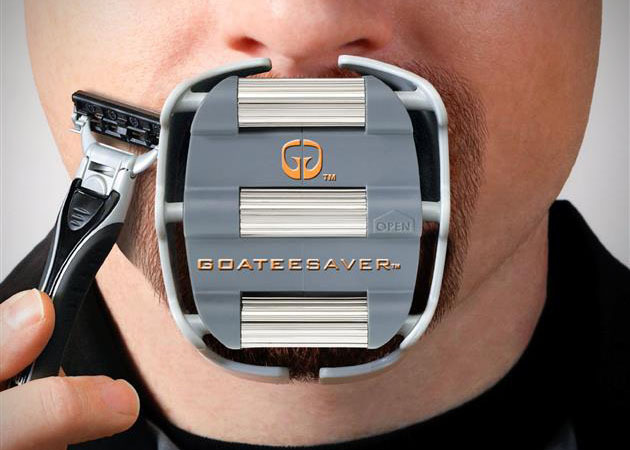 It works by biting down on the Goateesaver via a mouth piece to hold it in place. Then, you adjust the width of your goatee, using the adjustable rollers. When you are satisfied with your arrangement, you just get out your razor and mow the lawn to perfection.